Want to see his mug shot? 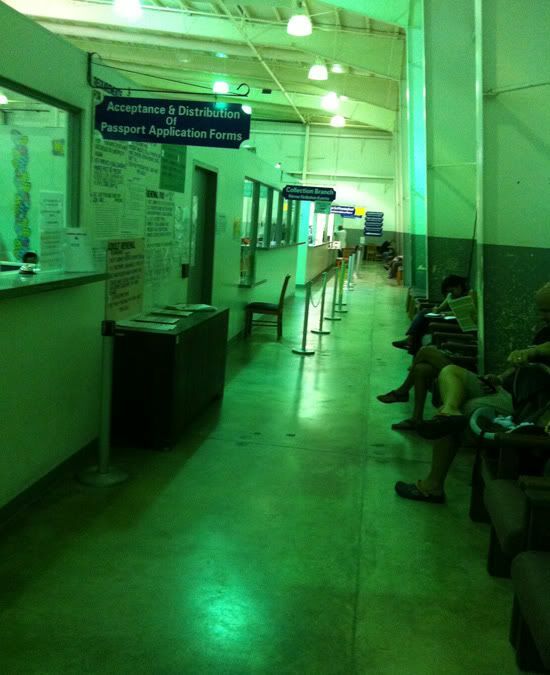 Here on Guam, you don't go to the Post Office to apply for a passport. You go to the Department of Revenue and Taxation, which is a big warehouse of a cinder block building that houses all the government agencies that deal with money, tags, licenses, passports and who knows what else. The lighting is not the best. An eerie grayish green glow is cast on everything. Kind of scary, isn't it? Reminds me of those stupid zombie shows. We should get little Coconut's passport in a month or so, just in time for our trip to the mainland in May (woohoooo!). Bali is sounding really good to me right now. Anywhere I can FINALLY see the ocean! What a sweetie Ian is! We got Samuel's passport when he was just a few weeks old. I look at it now, 2yrs later, and I can't believe how much he has changed. He still had that newborn look then too. No wonder you have to get a new one every 5 yrs for children! They have all changed so much. Eric was 12 when we got his, and he looks like he was about 8, compared to what he looks like now. Adorable photo. I would go to Israel in a HEARTBEAT...next England to see my family (my parents are there now) or to Thailand to get my nephews home! If I could go anywhere, I'd go to South Africa with Tim, since that's where he spent the majority of his growing-up days. I thought that you used a filter on those at first. The green light is so funny! They really do not want to make it a pleasant place to linger, do they? I am glad you get to come back to the mainland soon--it misses you. PS. I would love a trip to South Africa. 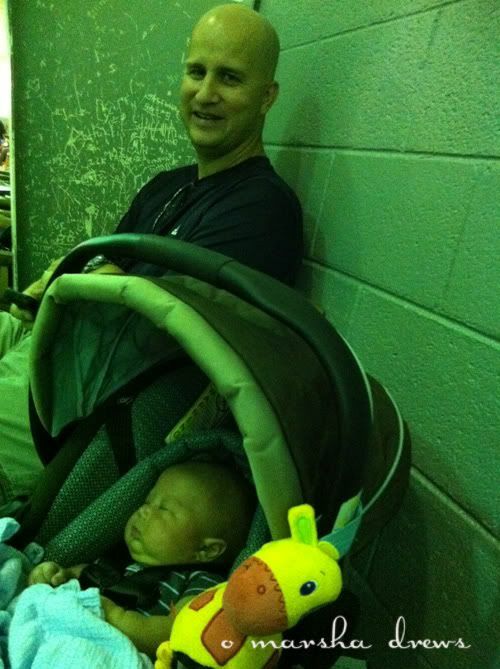 I'd go t GUAM so I could kiss those chubby cheeks! And snorkel with Austin and Noah :) love you! Guam definitely would be on my list so I could finally snuggle with my sweet cheeks. 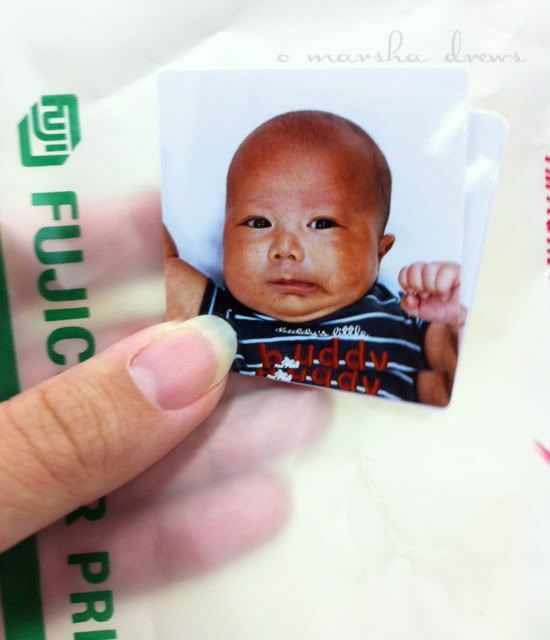 :) I love his passport photo.....definitely wouldn't get mistaken for someone else. :) Love you! That brings back memories of getting Addi's passport after he was born. We just about couldn't get a pic of him with his eyes open and facing the front. Ian's looks pretty good! Now THAT's A MUGSHOT! It could be on the POSTER for passports! Everyone should look that good! What a cutie and yes, Mom, he will hate it when he's older. I came across your photo of the fisher price rockin sleeper for my second son when I scrolled down and saw the photo of Tax and Revenue place and said to myself "wow that looks really familiar". Kept reading more and saw you are in Guam. We just pcs'd from Guam to Virginia in April. We were on island from 2009 and had our first born son there:) Small world.